John the manager provided a fantastic with scheduling me three great golf courses to play. He did it all at the last minute. His staff was cheerful and everyone there greets you with a smile. The location. The nice clean rooms . The staff where perfect nothing was too much for them . I reccomemd this hotel too every body who visits pattaya...... FIVE STARS. .
Staff were or spoke perfect English , were helpful and location great . A lot of variety in the minibar. Location and the room. Well equipped kitchen and a good food menu. Freundliches Personal, schöne Zimmer, Bad etwas schimmlich, gute Lage zum Einkaufen. Preis / Leistung ist sehr gut. Siisti paikka kaikin puolin. Uima-allas alue kiva. Hyvät parkkipaikat. Aamiainen klo 11 asti. CEA MAI BUNA POZITIE DIN PATTYA,PISCINA,PERSONAL.......TOTUL. Lock in a great price for Whitehouse Condotel – rated 8.7 by recent guests! Whitehouse Condotel This rating is a reflection of how the property compares to the industry standard when it comes to price, facilities and services available. It's based on a self-evaluation by the property. Use this rating to help choose your stay! 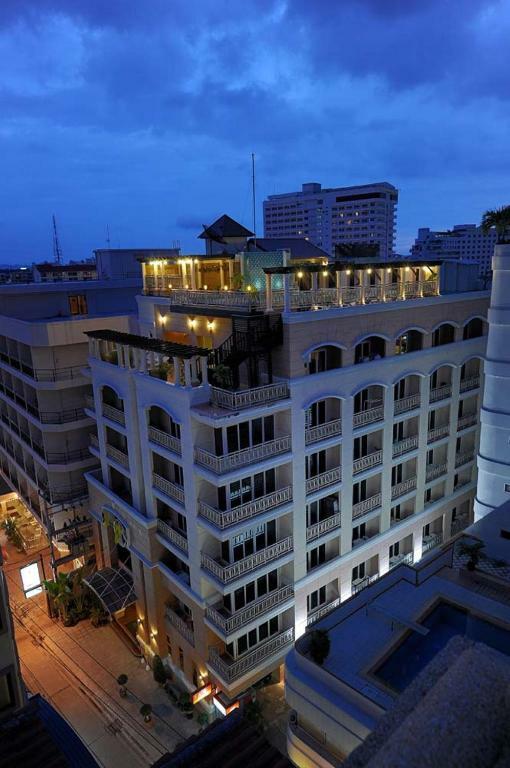 Located 656 foot from Pattaya Beach, Whitehouse Condotel features modern accommodations and an outdoor pool. Other facilities include a restaurant and a bar. Free Wi-Fi is available throughout the property. Whitehouse Condotel is 1969 foot away from Central Festival Pattaya Shopping Mall. Alcazar Cabaret is 1.1 mi away, while Suvarnabhumi Airport is located 53 mi away. On-site parking is possible. Featuring a private balcony, rooms and suites are provided with air conditioning, a seating area, a flat-screen cable TV and a refrigerator. An private bathroom comes with a hairdryer and shower facilities. Select units are fitted with a kitchen. Guests can enjoy Thai cuisine and refreshing beverages at the on-site restaurant and bar. 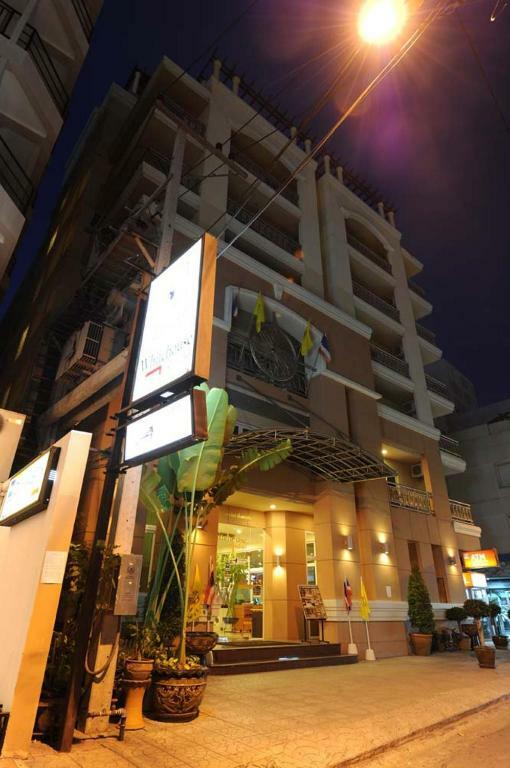 This property also has one of the top-rated locations in Pattaya! Guests are happier about it compared to other properties in the area. When would you like to stay at Whitehouse Condotel? Offering a private balcony, this air-conditioned room features a seating area, a fridge and a flat-screen cable TV. An private bathroom comes with a hairdryer and shower facilities. Offering a private balcony, this spacious suite features a fully-equipped kitchen and a dining area. Includes a seating area, a fridge and a flat-screen cable TV. An private bathroom comes with a hairdryer and shower facilities. House Rules Whitehouse Condotel takes special requests – add in the next step! Whitehouse Condotel accepts these cards and reserves the right to temporarily hold an amount prior to arrival. The was a little harder then I like but not bad. The room did not look like pic online but still nice and good value for the price. Jhon and his staff vary friendly and helpful. BRILLIANT HOTEL< STAYED HERE MANY TIMES NOW, NEVER DISAPPOINTS. STAFF VERY FRIENDLY AND HELPFUL. location in centre, easy to go everywhere.